Location+Potential=Great Investment! 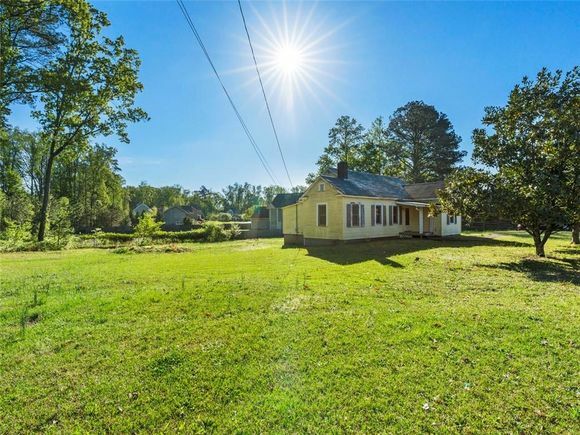 Adorable cottage style home with lots of character, can be fixed up to be an adorable "farmhouse style" home on a 1 acre lot located in heart of West Cobb. Great School district, close to everything; shopping, dining, schools, etc. Home has public water, sewer, and central heat/air. Home is being sold "as is", no sellers disclosure. Best price in Hillgrove district. USE GPS. Dallas HWY, to West Sandtown Rd. home is 1.5 miles down on left. Hello, I’m interested in 985 W Sandtown Road SW and would like to take a look around. The details on 985 W Sandtown Road SW: This house located in Paces Farm, GA 30064 is currently pending sale for $129,900. 985 W Sandtown Road SW is a house with 3 beds and 1 bath that has been on Estately for 9 days. 985 W Sandtown Road SW is in the Paces Farm neighborhood of Marietta and has a WalkScore® of 3, making it car-dependent. This house is in the attendance area of Lovinggood Middle School, Still Elementary School, and Hillgrove High School.